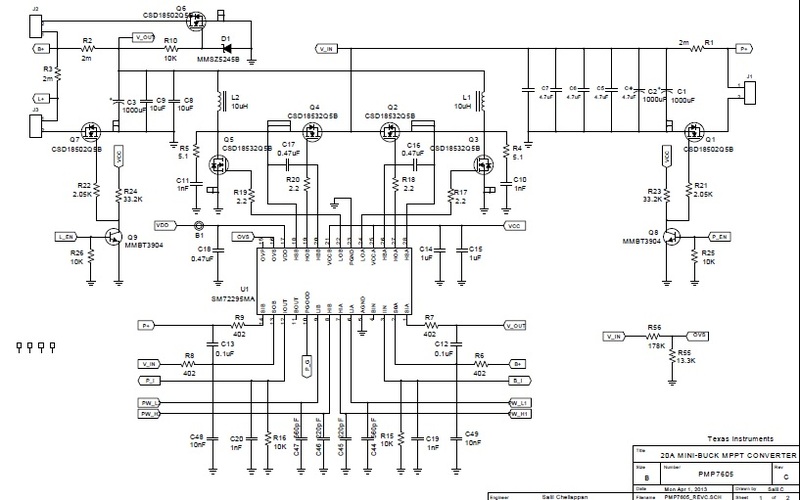 This design is a 20A Maximum Power Point Tracking (MPPT) solar charge controller created for solar panel inputs corresponding to 12V and 24V panels. The design is targeted for small and medium power solar charger solutions and is capable of operating with 12V/24V panels and 12V/24V batteries up to 20A output current. Designed with scalability in mind, it can easily be adapted to a 48V system by changing the MOSFETs to 100V rated parts. The user can also increase the current to 40A by using the TO-220 package version of same MOSFETs used currently. The Solar MPPT Charge Controller was created with real world considerations, including reverse battery protection and software programmable alarms and indications provided in hardware but were left non-configured. The design has an operating efficiency of above 97% at full load in a 24V system. 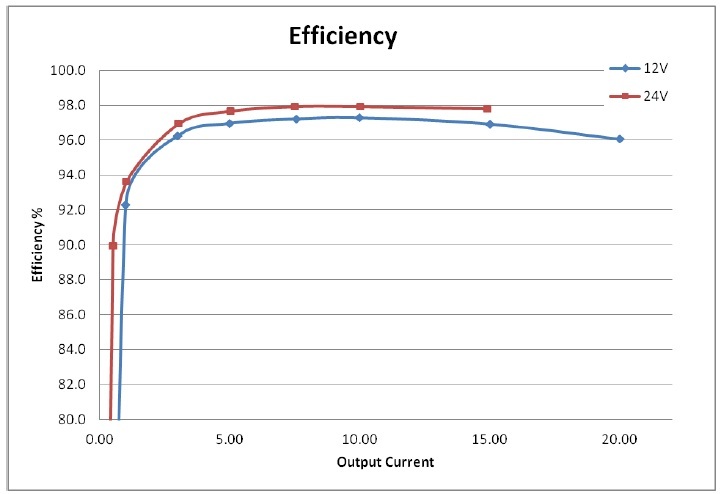 For 12V systems the efficiency is above 96% and includes losses in the reverse battery protection MOSFETs. Watch this training series to solve your solar inverter design system challenges.